Calls to 911 from T-Mobile phones in Dallas are clogging the city’s emergency dispatch system, the city said — and a 6-month-old boy’s mother blames the problem for her child’s death. City officials have said that since November some T-Mobile customers who have dialed 911 have inadvertently been making additional calls to the emergency number, rather than a single call. After T-Mobile crews worked on the problem this week in Dallas, authorities said that abandoned calls — where it seems like callers are hanging up before reaching 911 — were overwhelming operators. A dozen additional operators will be working at the Dallas emergency call center beginning this weekend, according to a statement from the city. Police are still investigating whether the issue led to the death of Brandon Alex on Saturday. His babysitter said that she dialed 911 multiple times without getting an answer. The 911 operators returned each of the babysitter’s calls but could not reach her, city officials said. T-Mobile did not respond to a CNN request for comment. T-Mobile CEO John Legere spoke with Dallas City manager T.C. Broadnax on Tuesday and said crews planned to work with the city until the issue was resolved, officials said. T-Mobile made some adjustments to their cell phone network in a joint effort to solve the 911 issue. A team will remain at the city’s call center to monitor potential issues, city officials said. Alex was attending a funeral when she received a call from her son’s babysitter, she told KTVT. The sitter said that Brandon had fallen and was unconscious, but when she called 911, no one would answer. “I just want y’all to tell me, why didn’t you respond to my son? That’s all I want to know,” Alex said. During that time, emergency operators received a surge in calls, city officials said in a statement. At one point, more than 400 calls came in, prompting them to bring in 10 additional operators. The boy’s mother drove home and ended up rushing her son to the hospital, she said, finally getting him medical attention over an hour after the babysitter’s first 911 call. 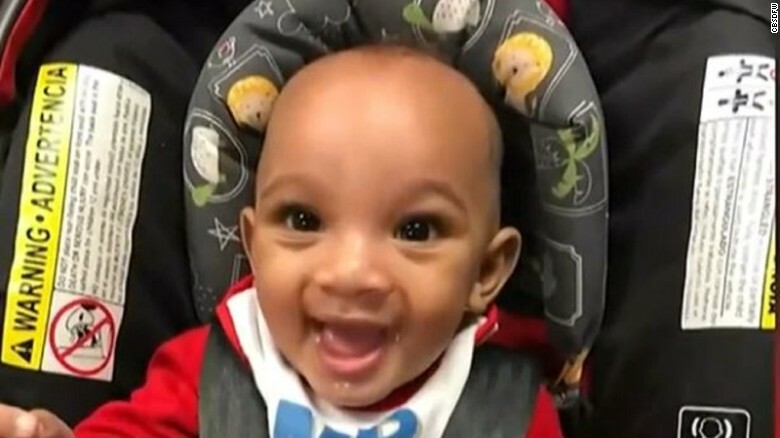 The baby boy was transferred to a second Dallas-area hospital, where he was pronounced dead, according to city officials. The boy’s cause of death has not been determined, the Collin County medical examiner’s office said. “It is outrageous that T-Mobile still has not resolved the ghost call issue that is putting Dallasites in danger by clogging our 911 system,” Dallas Mayor Mike Rawlings had said in a statement. While no other carriers appeared to be experiencing the “ghost calls” issue, AT&T wireless customers also reported having trouble contacting 911 in Dallas and other Texas cities on March 8. Police departments posted alternative numbers to call in case of emergency. AT&T tweeted later that day that the issue had been resolved.